The first and only FDA-approved filler to correct age-related volume loss in the mid-face. With optimal treatment, natural-looking results last up to 2 years. Is indicated for deep (subcutaneous and/or supraperiosteal) injection for cheek augmentation to correct age-related volume deficit in the mid-face in adults over the age of 21. 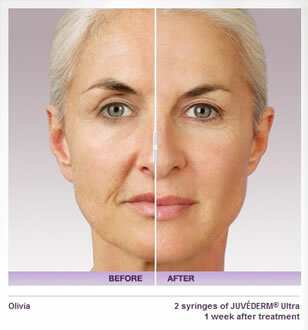 Results from your Juvéderm Ultra Plus treatment can last for up 2 years! It is the first and only of its kind to be approved by the FDA to provide results that last this long.